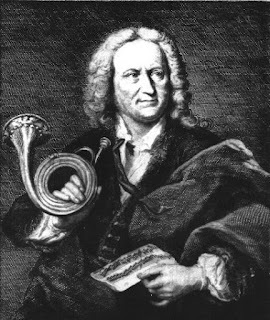 Bach's best known trumpet player Gottfried Reiche was probably not the first trumpeter to play the 2nd Brandenburg Concerto but he may have played it in subsequent years. The Brandenburg Concertos were dedicated to the Margrave of Brandenburg in 1721. The individual dates for the Concerts cannot be precisely determined. No 2. was maybe composed in 1717 or 1718. The trumpet part of No. 2 was probably written for the court trumpeter in Cothen, Johann Ludwig Schreiber, and not for the more well known Reiche. The violin part was probably for the concert master in Cothen, Joseph Spiess. 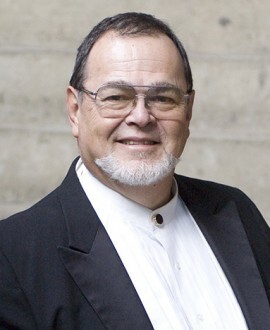 "We may reasonably suppose that Reiche did, in fact, play the second Brandenburg concerto under Bach's direction with the collegium musicum at one or another of the venues where he is known to have performed with that ensemble. Moreover, it is not beyond the bounds of reason to suppose that Christoph Ruhe, Reiche's successor, may have played the same work with the same ensemble sometime after Reiche's death in October, 1734"
"On precisely this day the highly skilled and most artistic musician and Stadtpfeifer, Herr Gottfried Reiche, the Leucopetra-Misnicus and senior member of the municipal company of musicians in this place, suffered a stroke as he was going home and dropped dead in the Stadtpfeifer-Allee not far from his house where he was taken. The reason for this was on account of the enormous strain he suffered the night before while blowing [the trumpet] for the royal music, his condition having been greatly aggravated from the smoke given off by the torch-lights." performances and reproductions of which are used today. Current original instrument players use a long "wrapped" model. The current "Baroque" or "Clarino" trumpet (so called because of the range in which it plays) that is used in authentic performances of the 2nd Brandenburg, is pitched in the key of F (or E) which means that it can only be used for music that is in the key of F major as the instrument can only play those notes that fall in the natural harmonic series of the instrument. "Baroque" trumpets can be manufactured for all keys, but they can only play in one key at a time. Most often when Bach wrote music for trumpet he wrote in the key of D.
The 2nd Brandenburg is in the higher key of F major and is considered one of the most demanding trumpet parts ever written because of the high tessitura of the part. There are three high concert G's in the first movement which come late in the movement and are challenging even on the modern piccolo trumpet. Thankfully Bach had the foresight, or good common sense, to leave the trumpet out of the slow second movement which gives the trumpeter a 3 or 4 minute break, but then immediately brings the trumpet back in to begin the 3rd movement. The contrapuntal interplay between the solo instruments immediately displays the four tonal characteristics of each instrument as each instrument enters and copies the music played by the trumpet in the first four bars. 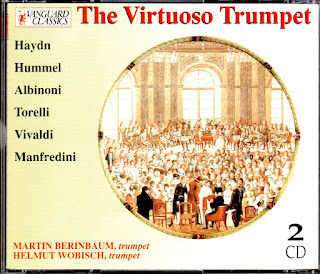 Bach's genius of partnering the Clarino trumpet with a solo group of one oboe, one violin, one flute and one trumpet with an accompanying group of strings was unique and was never repeated in this way. 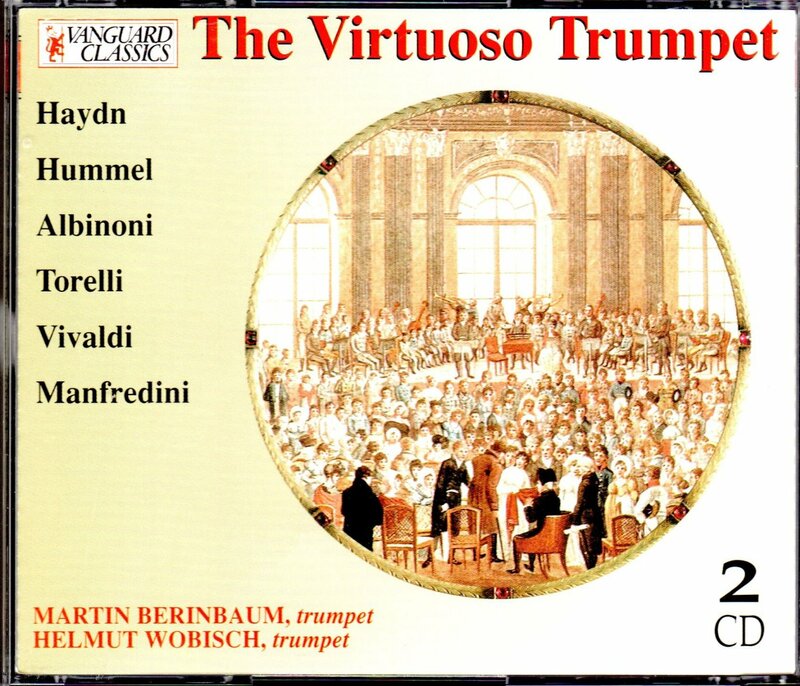 I played the 2nd Brandenburg about 40-50 times at least, starting in 1962 but always on a modern piccolo trumpet, never on Clarino. 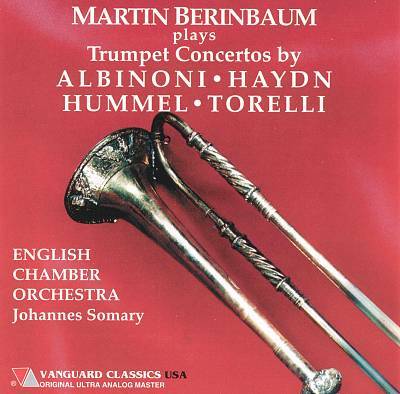 I recorded it several times for Columbia and CBC, and Nonesuch and while I owned a set of Natural trumpets in all the keys, and I attempted to learn the Brandenburg on one, I never followed through. I always found it very difficult to go back and forth between a modern instrument and a "Baroque" instrument for reasons that are really technical in "trumpet talk" i.e.. mouthpiece size, bore size etc. One never wants the difficulty of playing an instrument to overshadow the beauty and symmetry and effect of the music itself. Musical performance should always "sound easy" (even if it is not) to the audience and that is difficult when it comes to the 2nd Brandenburg on any instrument modern or old. I do remember the first time I played the piece on piccolo trumpet in 1962 though, mostly because it was with a famous recorder player Carl Dolmetch at the Idyllwild Music Camp in California. The problem then, as it is now, is that it is very difficult to balance the volume of a modern piccolo trumpet with a recorder (rather more so than modern flute) and even a modern oboe and violin. Maurice André, the famous French trumpet player, who played the piece hundreds of times, more than anyone else ever, had a little loosely knitted "bonnet" that he put over the bell of his piccolo trumpet to soften it and allow him to play more comfortably without covering the other instruments.